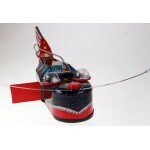 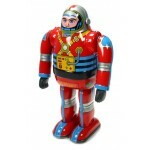 Horikawa Piston Engine Robot Japan Vintage Horikawa Smoking Engine Robot. 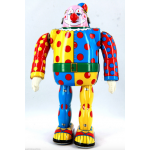 V..
PIERROT CLOWN TIN TOY 1980's COLLECTORS TOY 7" / 18cm Tall. 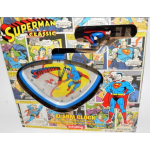 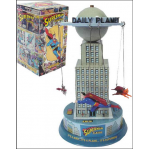 &nbs..
CLASSIC TIN TOY Mechanical Robototic Space Whale AS BRAND NEW BOXED Space Whale Robot W..
Superman Schylling Alarm Clock Superman Flies aroung the top of the Clock ..
Tin Toywork Astronaut Clock Stands 7 1/2" tall and features wind up mechanical walking acti..
RARE ROBOT ZATHURA AS NEW IN BOX OLD STOCK HARD TO GET GREAT INVESTMENT Old ..